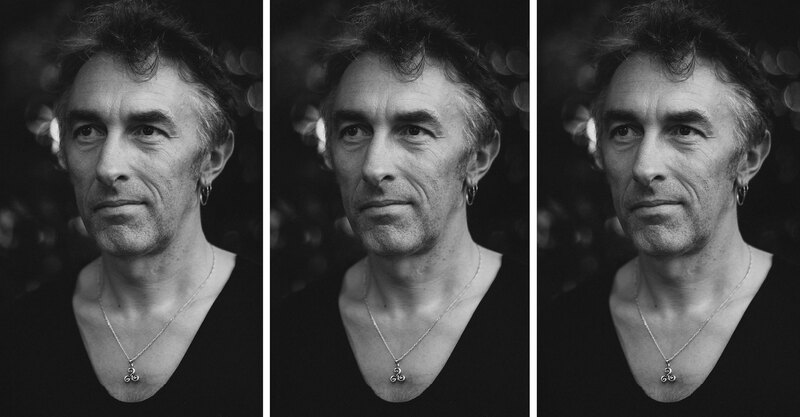 Mr. Tiersen, have you ever had a near-death experience? Yes! With my fiancée about two years ago, we were biking in the Sinkyone Wilderness State Park in California and we were stalked by a mountain lion for hours… It really changed my perception! But you know, they’re peaceful cats, there wasn’t any anger or aggression — that’s just the way it is in nature. It’s good sometimes to realize you can die! The experience made me realize that you have to know where you are, and know that the place you’re in is alive. Nature and music appear to be deeply connected for you as a composer. You’re even recording your new piano album in a forest. Yeah, the plan is to write everything relating to Ushant, where I live, kind of like a musical map of the island. I started off doing some field recordings and then I want to change and mess around with them through electronics, then compose some chords with the electronic music made from those field recordings. But there will also be acoustic piano tracks for each place. Then when I release the album, it will be like bringing the sounds of my island all over the world. You once said that you want to “let the wilderness into your music.” Is this what you meant by that? Yeah, all these processes are part of that. I just like to play my music in a wild environment. I think nowadays, it can be really hard to take the time to know where you are. Like I said, we’re living in a living world. More and more, I think it’s really important that you know the ecosystem. I travel a lot so for me, it’s good to learn about my surroundings, to learn about the country I’m visiting in or playing gigs in. Given that you travel so much, do you, in a sense, have to find your home in music? No, because I know where my home is. I need to be there a lot. The island where I live, Ushant, is just eight kilometers by four kilometers, but, you know, after a while, you start to see really small things. You can travel really, really far in those eight kilometres. I discover new things every day, it’s like an expansion. It doesn’t matter if it’s a small region or small place; it can be infinite. When you know your home, that’s when you can really travel, I think. And you can share your place with the people who live elsewhere; you can talk about it. Your last album, Infinity, was recorded partially in Iceland, Cornwall, Devon, and the Faroe Islands. Do you need to travel to fuel your creativity? Sometimes when I start an album I need to be away from home to have this feeling of being on holiday, to be elsewhere, to avoid the pressure and the fear of the blank page. It’s more to do with that than anything. I start most of my albums somewhere else: the last one in Iceland, the one before I did some recordings in the Philippines… It’s more to avoid the pressure. But I love to record at home, too. I did almost all my albums on this island where I’ve lived for the past 15 years. I really love Brittany. It’s my favorite place in the world. The feeling of being home, I think. It’s a country with a really dense and rich culture with a beautiful language. It’s full of old connections as well. There are churches everywhere, there are close connections to Cornwall in England, and it’s like two worlds with the Breton language and everything. It’s a really rich place, and it’s so great to discover all of that. It’s an endless treasure to discover. It’s fascinating. Do you ever feel isolated, though, given that it’s an island in the middle of the sea? What is isolation? Isolated from what? Even if you’re in a place where there is nobody, you’re close to living organisms and animals and the presence of nature. (Laughs) I actually feel like I’m in the middle of a big family on this island, so I don’t feel isolated at all. I feel close to the living world because there is lots of life everywhere. Modern isolation is more isolating for me. Yes, I feel more isolated in big cities because I’m cut from the ground and I’m just in the ocean of concrete, of dead matter, asphalt, all those things… You are not part of an ecosystem because it is an artificial one! (Laughs) It’s a bit funny that we have more energy in big cities. Everybody is always thinking with man at the center of the universe. But for me, nature is the base of everything. It’s the most important thing that we have to focus on. If nature is the base of everything for you, what weight does music hold? I prefer to see music in a simple way: I need it to be happy. I just like to play with sound. I like to find new ways to be genuine and new ways to express feelings with music. You can attach a lot of words to music, but eventually the meaning just disappears. You prefer to let the music do the talking? Well, music is not language. My relation to music was born in the ’80s — it’s my culture. When I was really young actually I started with just making noise and messing around. I need to have a physical contact with an instrument or with electronics, and to spend hours to mess with textures… So for me, music is something really abstract. It’s a bit like dance or something to do with the body. I see music as something that can express feeling, but without too much thinking. I’m kind of instinctive with music, I’m not that kind of guy to work only with his head.